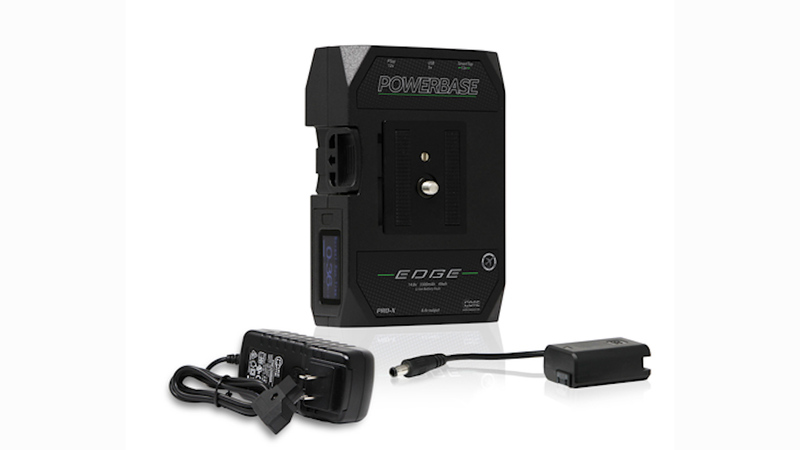 The Core SWX Powerbase EDGE battery is an external power solution for many mirrorless cameras out there, perfect to use when away from your home base. It can last you many hours – if not a full day! 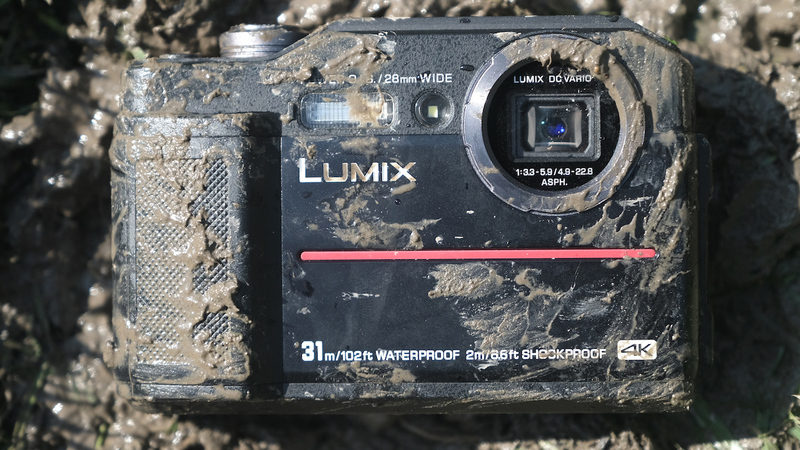 Though it makes your footprint with the camera a bit bigger, it is also more powerful and reliable. Core SWX Powerbase EDGE Battery Last October, I was invited by Indian royal family members (Baljeet and Yaduveer Singh) to come to Rajasthan, India, and work on a documentary about the area. What really struck me there, is the fact that potentially life threatening animals – wild leopards – live together in peace with the local population. On their nightly strolls through the dusty villages, the leopards sometimes pick up livestock (goats and dogs) – but the people there tolerate it, due to a spiritual belief that leopards are protectors of the many temples which dot the age-old hills. That has led to a unique situation that has helped to conserve the wildlife ecosystem and has also inspired a lot of self confidence in the leopards – they tolerate visitors, who try to take a peek from near distances. My full documentary can be watched by clicking here. Stills taken from my timeline OK, I’m going to India, What Next? Now, as excited as I got about this opportunity, I also started to scratch my head around the gear that I was about to take along with me. As usual, I opted to stay as light as possible – also because domestic Indian flights only allow you to take up to 15kg of luggage with you. Hence, I went for following gear: DJI Mavic Pro drone with a set of ND filters GoPro Hero6 with PolarPro ND filters and Karma Grip (Gimbal) Two camera bodies: Sony a7S II and Sony a7 III PolarPro Quartzline ND filters, HELIOPAN variND SIGMA 18-35mm f1.8 Samyang 135mm f2, Rokinon 85mm f1.4, Tokina FD 17mm f3.5 SIGMA 50-500mm f4 – 6.3 Canon EF 500mm f4 IS II with 1.4x Rode smart lav and Sennheiser MKE440 and MKE400 mics Core SWX Powerbase EDGE battery solution No tripod, just a rice bag to support the camera. My thoughts went along these lines: for the documentary part, a zoom would be nice, hence the SIGMA 18-35mm would sit on the Sony a7 III in APS-C 4K mode. 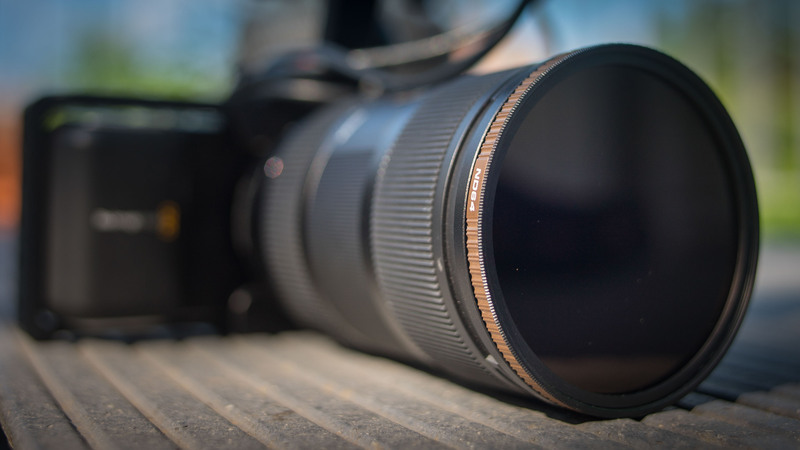 That would give me roughly a 27 – 53mm full frame equivalent. Then, on the second Sony a7S II in full frame 4K, I would have the 17mm for ultra-wide shots and the 85mm and 135mm prime lenses for longer length tele shots for the documentary part. During the jeep safaris, for the off-road driving shots, I would need a gimbal. For reasons of weight and quick availability that meant the GoPro & Karma grip, plus the drone for aerials. For the wildlife part, I had the SIGMA 50-500mm and the Canon EF 500mm f4 prime. Me, my Sony a7S II with a monsterCanon EF 500mm lens. Oh, the Core SWX Powerbase EDGE is there too. In the Field – Camera Powering Limitations As wildlife tends to reveal itself at dusk or dawn in high ISO lowlight conditions, that Canon 500mm f4 was absolutely amazing to have – I am glad that my friend Parag Aklujkar managed to borrow it from his Indian community of wildlife photographers. My biggest concern was battery life, as I had 2 standard batteries for the Sony a7S II and only one for the a7 III. 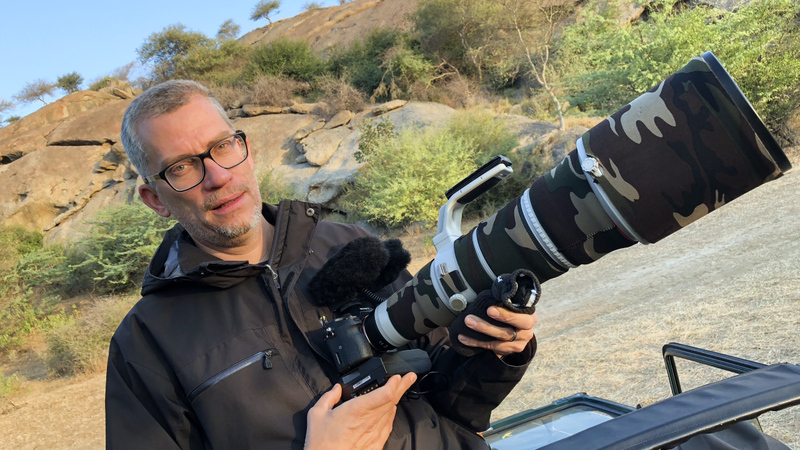 I knew that the day would be starting very early with the morning safari, then I was going to shoot documentary-style during the day and come back to shooting wildlife in the evening. Therefore: no time to charge my batteries in between. 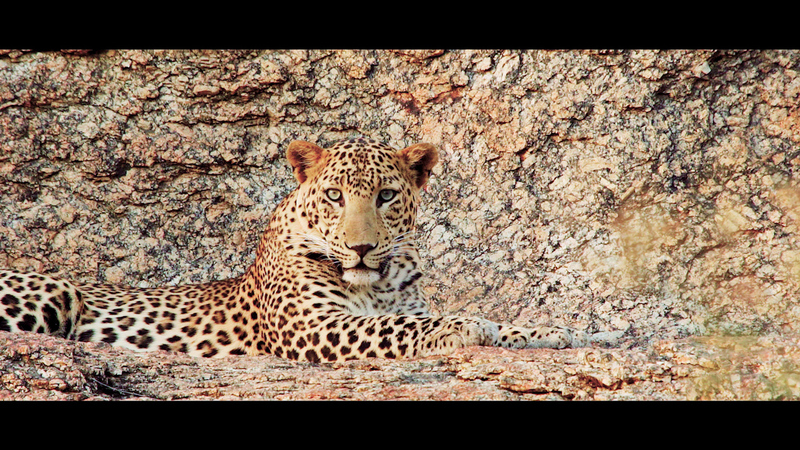 Shooting wildlife means waiting for hours, until suddenly the leopards come out of their caves – a moment you don’t want to miss, meaning you have to keep your camera turned on whilst waiting, to be able to start recording quickly – quite a battery-hungry endeavour. 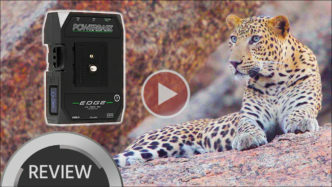 Therefore, Johnnie and Nino suggested taking along the Core SWX Powerbase EDGE battery. The Core SWX Powerbase EDGE solution allowed me to film for about 6 hours on my Sony a7S II – more than enough to get me through the day! I was using a USB cable to power the camera, which has the advantage of the 3300mAh adding up to the 1020mAh of the internal NP-FW50 battery, but you can also purchase a camera specific dummy battery for a more seamless setup. It also has D-tap or V-lock connections available, plus a little LCD screen with a button-activated backlight showing you the remaining runtime – a very neat feature. Surprisingly, it is very lightweight, and also safe to take along in airplanes (within the hand luggage) – there is a little sticker on it explaining the facts. That sticker came in handy when I stumbled upon a rather narrow-minded officer at the Delhi airport security screening – he let me tear apart everything, ignoring my ramblings about my intentions to film the beauty of Indian wildlife – yet, he acknowledged the sticker and let me pass without further questions… The Core SWX Powerbase EDGE mounts to your camera via a detachable baseplate offering a ¼ -20 inch screw. 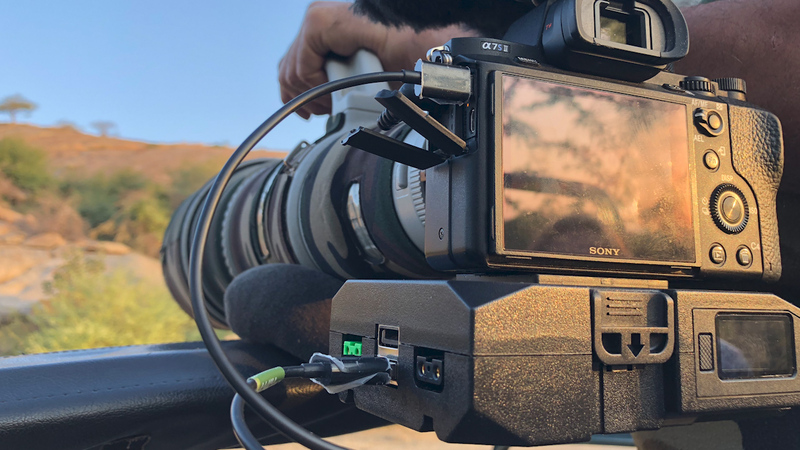 At a price of 279 USD, it is quite cost-effective – when compared to the 349USD Sony VGC2EM battery grip (which holds 2 NP-FW50 batteries, which you would have to buy for 54USD each, separately), while only doubling your runtime. Conclusion All in all, I can heartily recommend the Core SWX Powerbase EDGE battery – it does what it is supposed to do, and combines a number of neat features to make your life easier, at a very affordable price. You can find all of the various Core SWX Powerbase products with a dummy battery that fits your camera by clicking here (For B&H) and here (For CVP). The music used in the video above is courtesy of Music Vine. Get 25% off your next music license with code C5D25 (valid for one use per customer). What are your power solutions when out in the field or when filming wildlife? I would be happy to learn about your setup, so please comment in the section below! As many of you are well aware, the cinema5D lab was built up a few years ago, and huge efforts were put into detailed camera tests concerning dynamic range, sharpness, rolling shutter etc … No new measurements were done in a while, but now we decided to start again, in a step by step manner, building on this foundation. Therefore, as a first activity we are bringing back the dynamic range measurements. This article is intended to describe the workflow and also philosophy of our test and should serve as a reference for those readers who want to engage / contribute to our method and findings. 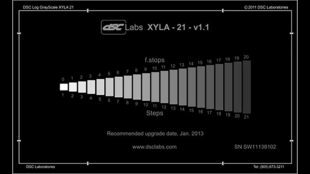 Dynamic Range Measurements – the Conundrum To the best of the author’s knowledge there is no industry standard available for movie cameras, and even the most simplistic definitions are vague as you will see quickly (there is an ISO 15739:2003 standard for digital still picture cameras though from which we will borrow some of our terms and definitions). 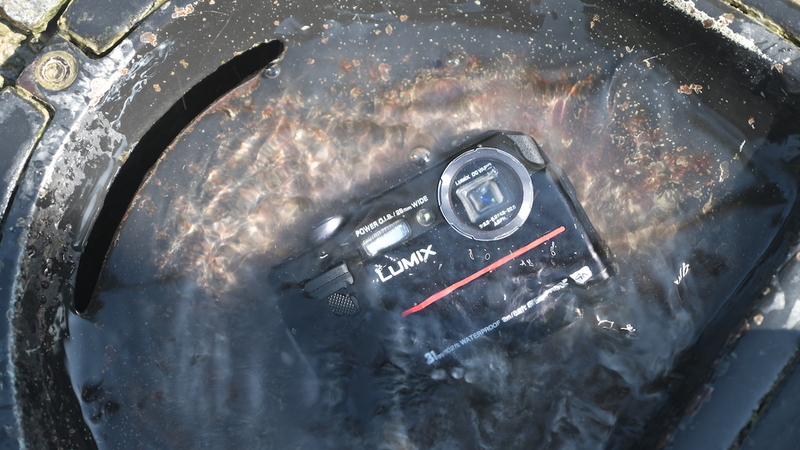 That has left a lot of room for interpretation and also allows each camera manufacturer to publish numbers which are not always directly comparable between the cameras. Because dynamic range of a camera is an important feature our target here is to establish an independent base reference benchmark which allows direct comparison between the various cameras on the market. 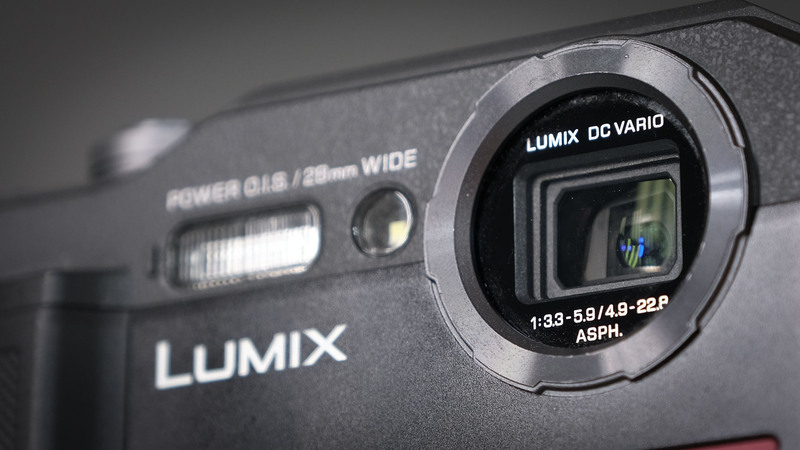 What is the Dynamic Range of a Camera? The dynamic range of a camera can be simplistically defined as the ratio of the maximum and minimum luminance that a camera can capture. Sounds good, but how to quantify the term “capture”? The ability of a camera to capture highlight detail is quite obvious, but the problem starts in the shadow details – here, noise starts to kick in quickly and we are left with room for interpretation which kind of noise is still usable or not – at this point, let’s talk quickly about sensor noise and signal to noise ratio (SNR). 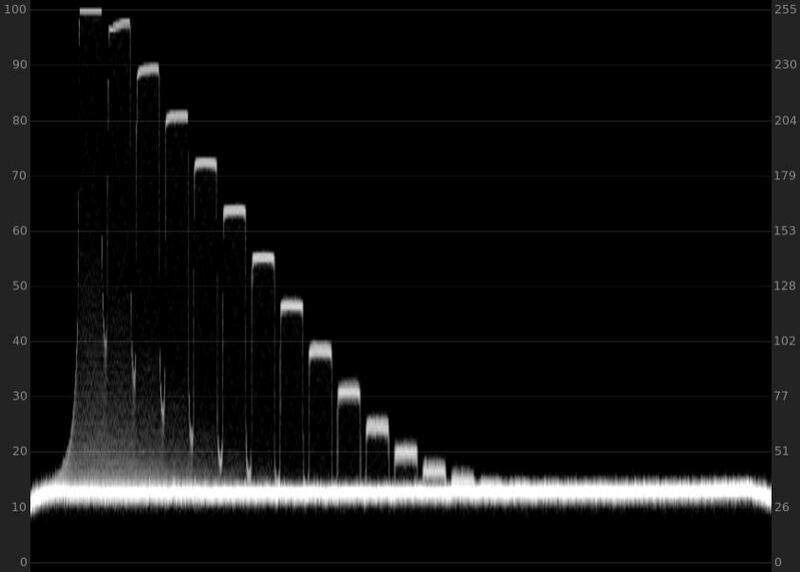 Noise is the random reported variation of luminance of pixels compared to their actual luminance value. Therefore, below a certain base luminance the image may be so corrupted by noise that we cannot really say that detail in the shadows is captured accurately or that image detail is usable. The ISO 15739:2003 standard is helpful here as it defines a signal to noise ratio of 1 as being the threshold value for dynamic range measurements. However experience shows that for movie cameras a signal to noise ratio of 2 (or a root mean square value of noise RMS = 0.5 = 1/SNR) is a more conservative approach leading to “usable” shadow detail. 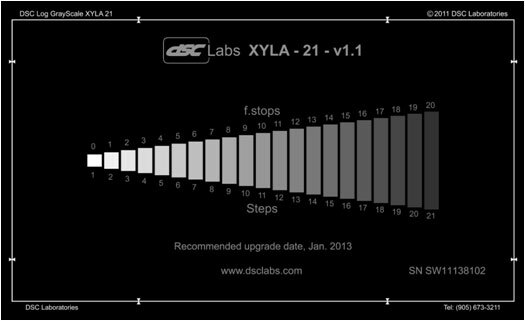 Lucky for us the ARRI ALEXA factory dynamic range statement of 14 stops seems to correspond very well to the 0.5 = 1/ SNR equation as past cinema5d results showed, hence we will continue to use this threshold value to determine the dynamic range of different cameras. The Testing Procedure We are using a DSC labs Xyla 21 backlit transmissive chart in a completely dark room, which provides 21 stops of dynamic range. This chart is filmed offcenter from the horizontal axis (to avoid lens flare) using the following methodology: At the highlight (left) end we hard clip the first two patches, then stop down until the second patch is on the cusp of clipping. Now we have 2 methods to identify the dynamic range: a) a visual inspection of a waveform plot and the recorded patch image b) IMATEST: we export frames from the video file and run it through the IMATEST software which calculates a numerical value for the dynamic range using advanced image analysis algorithms (see http://www.imatest.com/docs/stepchart/). 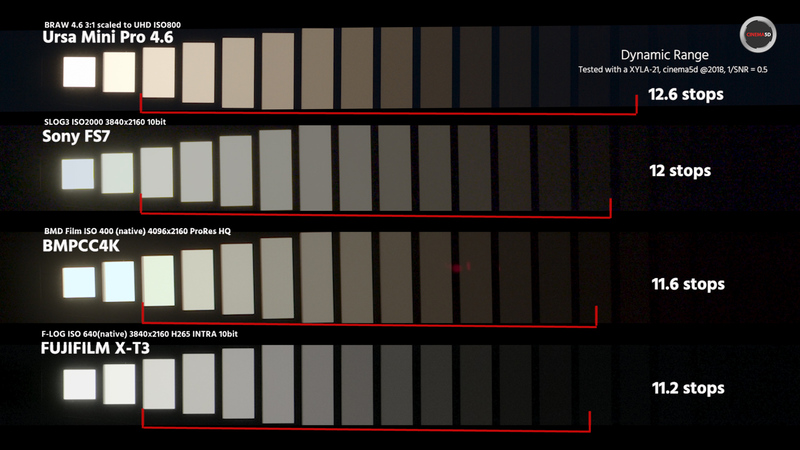 While transmissive tests are the simplest/most accurate/comparable tests of dynamic range, they also give us very little information regarding how the camera responds to colors and detail across that range. 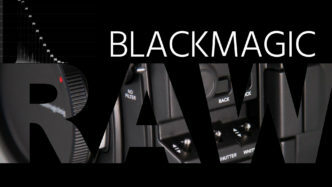 Hence, it is just one piece of information out of many other factors when making a judgement about a camera. Visual Inspection and the IMATEST Software Results As the first patch is clipped, but the second is still within range, we start to count visually from this second patch downwards, hence from patch two to three is your first stop, from 3 to 4 is your second stop, and so on. So far so good. At the shadow end, a visual inspection is more difficult as we have to count until the last discernable stop sticking out from the noise floor. 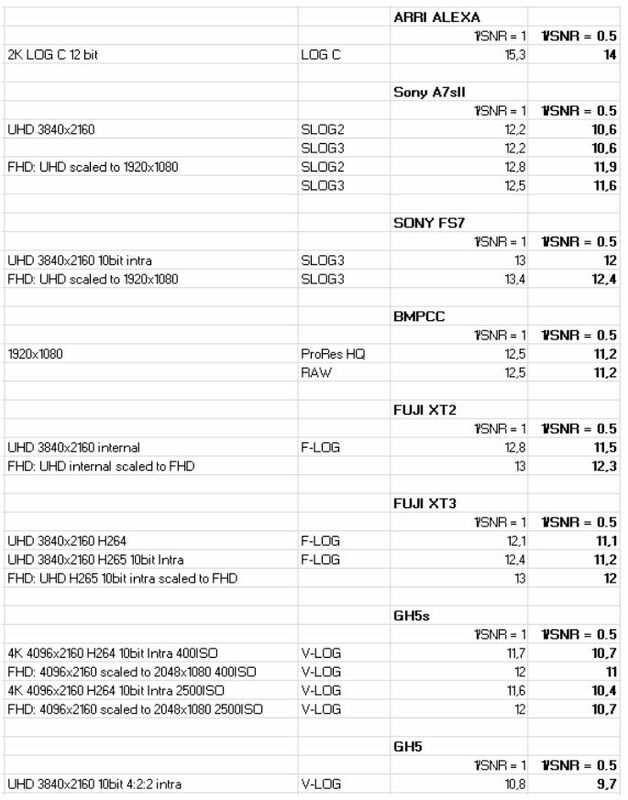 See figure 2 below from the Sony FS7 (SLOG3 10bit internal, values scaled to 8bit), which I tested again among other cameras to ensure consistency with past measurements. The noise is (visually) indicated by the red line, and if we count all clearly discernible stops from the noise floor we get about 12 stops, maybe a bit more. Fig. 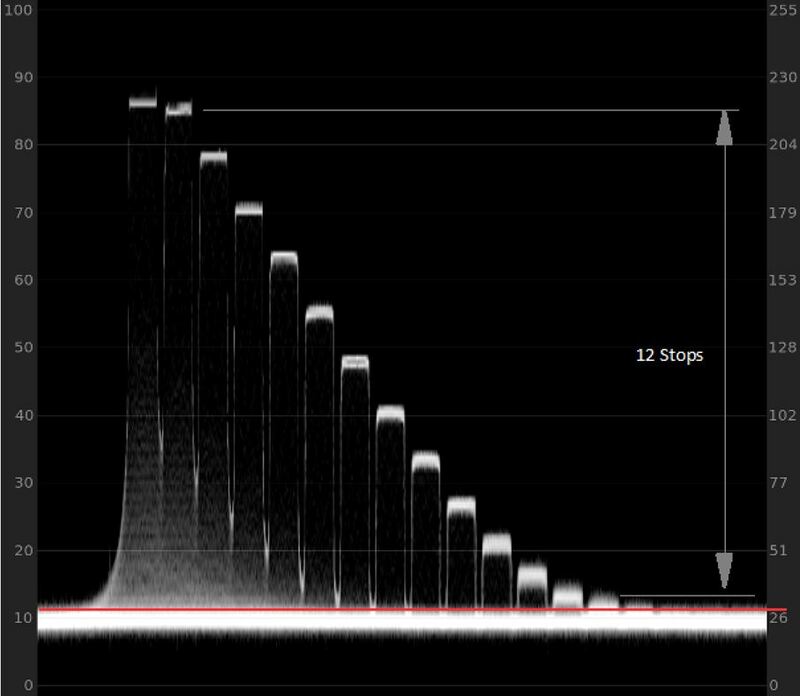 2: Sony FS7 SLOG3 step chart waveform plot (from Premiere Pro). Cleary discernible is the noise floor (indicated by the red line). Every patch clearly sticking out from the noise floor is a „usable“ stop, giving us about 12 stops range. Now there is of course some ambiguity in the visual method (where exactly is the noise floor? ), and here is where the IMATEST software comes in very handy. Our Workflow using IMATEST: Using the FFMPEG library we extract the highest quality I-frames directly from the video file, using this command (thereby avoiding any influence of an editing system): ffmpeg -i videofile.mov -vf „select=eq(pict_type\,I)“ -vsync vfr framegrab%04d.tiff Those high quality tiff framegrabs are imported into IMATEST, and the region of interest is selected: Fig. 3: patch image from the video file, selection of region of interest in IMATEST IMATEST will then analyse each patch via advanced algorithms to calculate signal to noise ratios and then spits out the following chart (among a lot of other stuff) – the dynamic range for various SNR values: Fig. 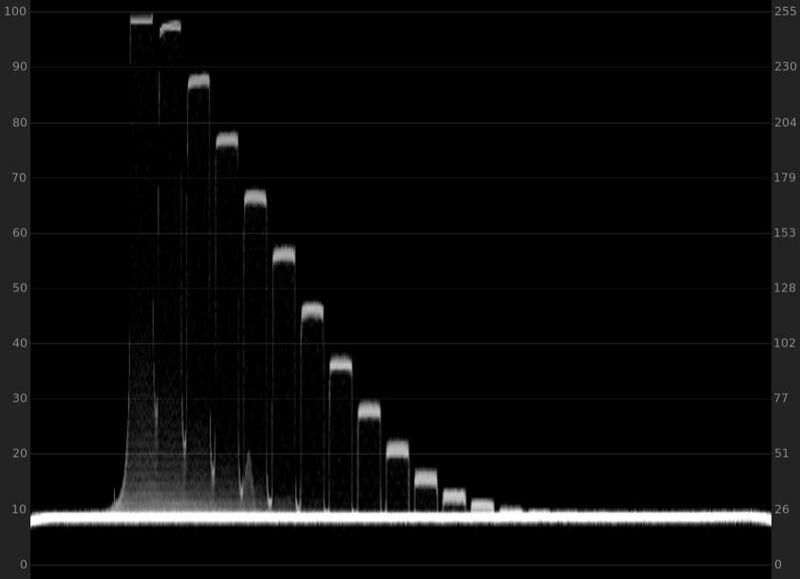 4: IMATEST Result plot for the Sony FS7 For the Sony FS7 IMATEST spits out a dynamic range value of 12.1 stops for 1/SNR = 0.5, and 13 stops for a SNR value of 1. Also, the software identified 17.7 discernible patches. Hence, the Cinema5d dynamic range value for the Sony FS7 is 12.1 in UHD (3840×2160). 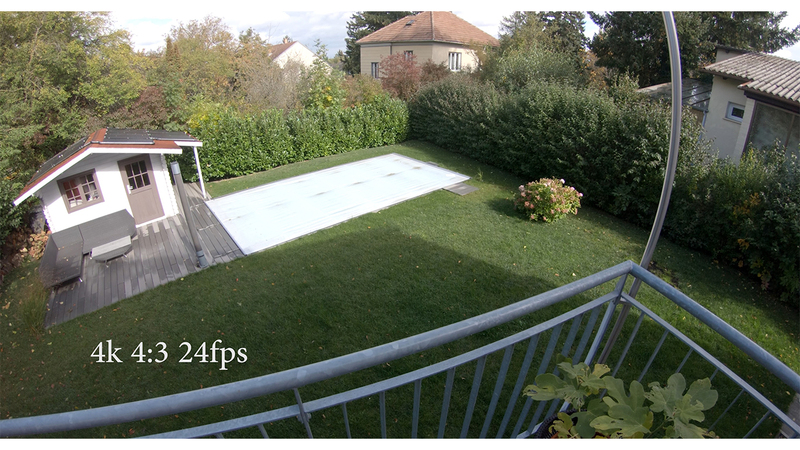 Image Downscaling One word about image scaling: if you scale the Sony FS7 image from UHD to full HD (1920×1080), you get an increased dynamic range in IMATEST of about 0.3 stops in the Sony FS7 example (resulting in 12.4 stops), as the downscaling averages 4 UHD pixels into 1 FHD pixel thus lowering the noise. Another argument for 4k acquisition and 2k delivery. What happens by downscaling and how is the dynamic range increased? 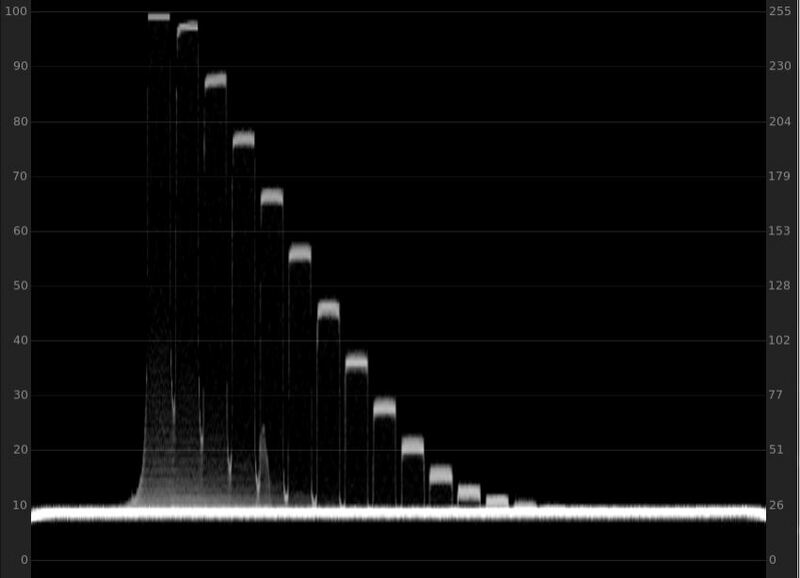 Well, the signal value of four neighboring pixels has a high degree of correlation (luminance will be roughly the same), whereas noise for those pixels in general should show no correlation as it is random. Now, by downscaling (or averaging) four pixels of an 3840×2160 image to 1 pixel of an 1920×1080 image the signal value should stay very much the same, but the noise value will reduce because noise is random (uncorrelated), hence averaging (or in mathematical terms the root mean square value of noise which is measured in the recorded image) scales with the inverse square root of the number of samples that we average. Hence 4 pixels into 1 gives a factor of two (sqrt(4)=2) higher signal to noise (SNR) ratio. Higher signal to noise ratio for a given luminance = higher dynamic range. Scaling for our testing is also done using the ffmpeg library (libswscale) to avoid any influence of the editing software. The nice part about IMATEST is the fact, that all analyses are based on pure mathematics and not subjective opinions. Also, as long as 1 patch is clearly clipped you can underexpose / overexpose the stepchart and IMATEST will still give you the same result within a few percent difference. 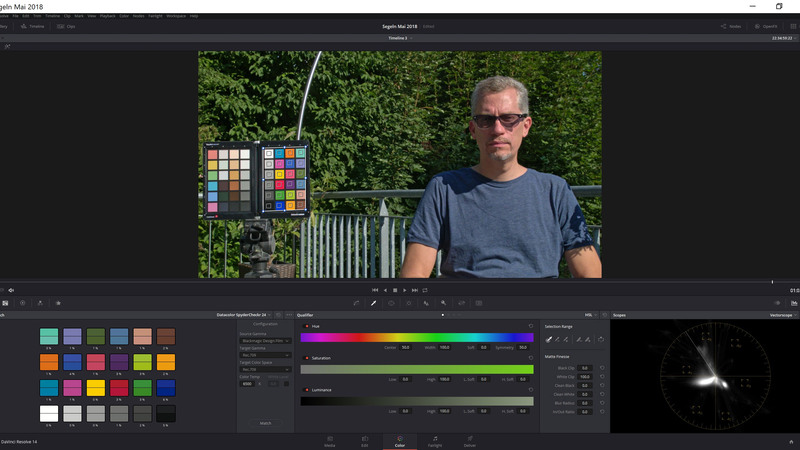 I did a lot of tests recently with the software and retested the Sony FS7, the Sony A7sII, the Blackmagic Pocket Cinema Camera, the GH5, GH5s and the FUJI X-T2 / X-T3 to make sure I can reproduce all past results – a very interesting experience, as it gives a lot of insight on the capabilities of the different sensors, and also manufacturer’s claims. So here is a table of those recent results for your convenience (the ARRI ALEXA values are from past testing, but reproduced here as a reference too): Fig. 5: table of recent testing results (exception: ALEXA values for reference from past cinema5d testing). The value in bold on the right side of the table is the cinema5d dynamic range rating. Manufacturers will probably use the less strict ISO15739:2003 SNR = 1 definition (signal value equals noise) as it gives a higher dynamic range reading. 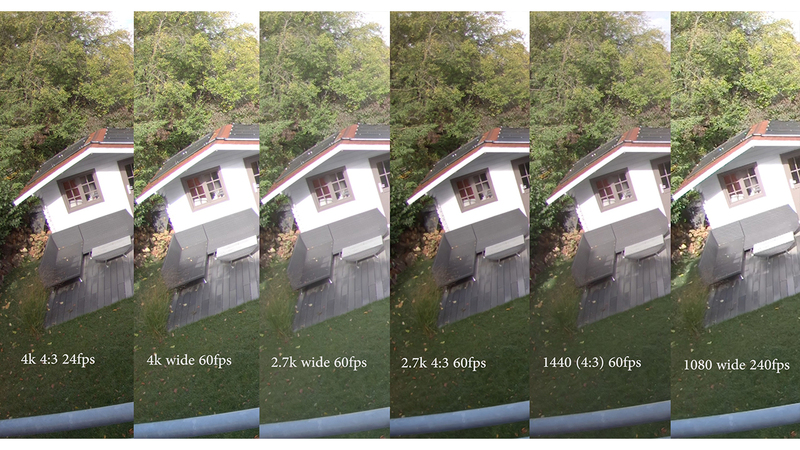 As can be seen from the results above, for this definition in the highest native resolution the Panasonic GH5s would be a 12 stop camera, the Blackmagic Pocket Cinema Camera a 12.5 stop camera, etc… One more thing: in the beginning of the article, the definition of the dynamic range was given as the ratio of maximum to minimum luminance the camera can capture – IMATEST will also spit out a “patch range” value which is the maximum number of patches that IMATEST was able to discern (not shown in figure 5). 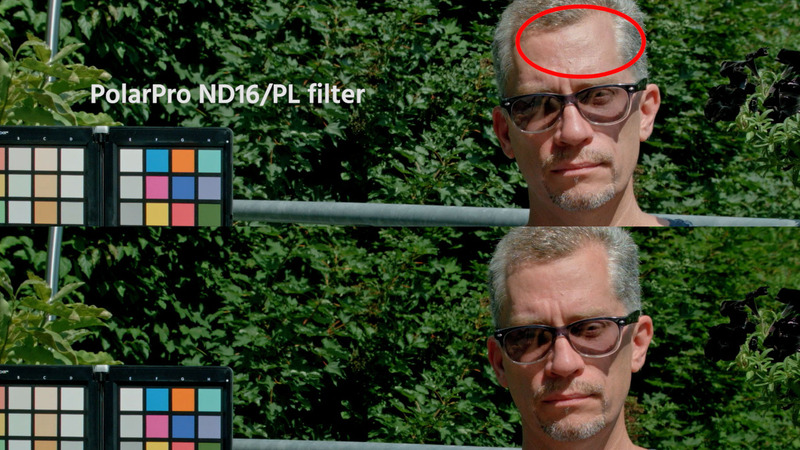 Here, for example the GH5s value was about 14.7 detected patches, and the Sony FS7 value is 17.7 (see figure 4). Hence, whenever a dynamic range reading of a camera is stated be aware that it only makes sense if also a clearly stated noise threshold value for this dynamic range result is given. Last but not least, never forget that also the objective results of the IMATEST software will just be a relative value. Some cameras with advanced codecs allow you to still retrieve image detail from the noise floor with advanced post processing, while others don’t. So don’t be discouraged by a better / or lower dynamic range value of this or that camera, at the end it is still the guy behind the camera who makes the film ;-) As a summary, we hope that you will find our results helpful, and we are looking forward to include dynamic range measurements again for future camera reviews! What do you think? Let us know in the comments below. In Part one of my GoPro Hero6 Black review, I had a look at the camera’s various shooting modes. 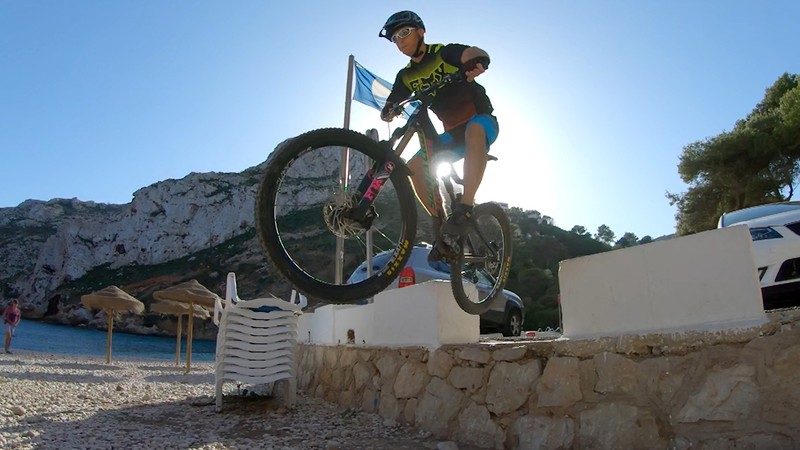 This was good preparation for my five-day mountain bike trip to Costa Blanca, Spain. Read on for some real world tests of the new GoPro Hero6. 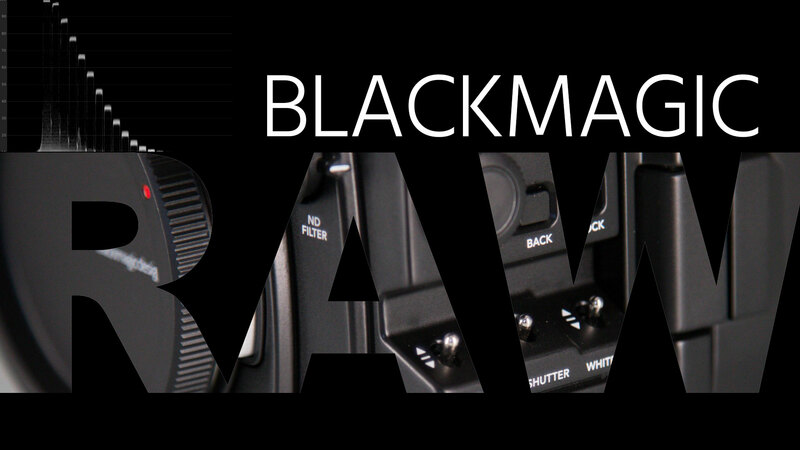 In Part one of my GoPro Hero6 Black review I identified the following modes as having the best image quality, and were the ones I predominantly used on the bike trip: 4K 4:3 24p and 4K 60p 2.7K 120p 1080 240p None of these provide internal image stabilization, which was fine for me as I also took the GoPro Karma Grip (reviewed here). The Karma Grip provides fantastic stabilization and also powers the Hero 6, so no spare batteries were needed. 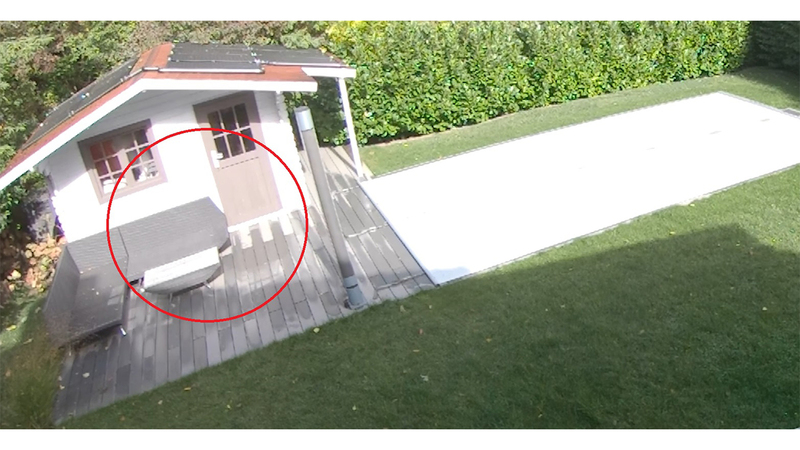 Sidenote: Initially, the Karma grip did not recognize the Hero6, and even after updating to the latest firmware (v1.51), it wouldn’t always recognize the camera. 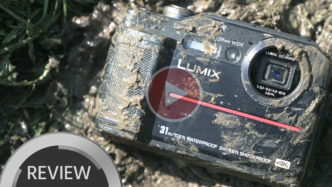 This is very annoying, as the camera freezes showing a „USB connection“ message, requiring you to pull the battery from both the grip and the camera. Not nice out in the field! The same happened with the older Hero5 model. I find it quite annoying that even the latest Karma Grip firmware from August 2017 does not eliminate thise issue, as it sometimes it feels you’re being treated like the Beta tester of a product that was actually released over a year ago! 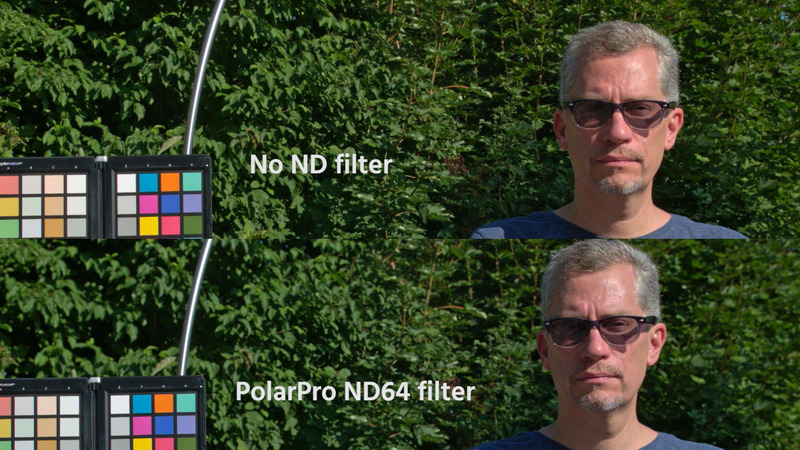 As the GoPro Hero6 housing is the same as the Hero5, I was able to use the PolarPro ND filters (mostly an ND32, reviewed here) which provide a nice motion blur for the lower frame rates, like the 4K 4:3 24p mode. This mode is very useful in conjunction with a GoPro chest mount, as it gives a nice point of view of the trail including the handle bars in the foreground. The 2.7K 120p and 1080 240p modes were used for the slow motion sequences. Other gear used was a Sony a7S II and a DJI Mavic Pro drone. GoPro Hero6 Black Review Findings Having used the Hero6 for almost a month now, and after reviewing all my footage, it is clear that this camera is a massive step up from the Hero5. Image quality, colors out of the box (use the „flat colors“ settings, as „GoPro“ is heavily saturated), resolution, framerate capabilities and the new HEVC (H265) codec are all really amazing. Also, although manual controls are available, auto exposure and white balance work very well – a very important feature for an action cam! Another big plus is that the dynamic range has been improved over the previous version. The GoPro Hero6 just holds the highlights much better while retaining the shadows, which I confirmed by doing a little side by side test of the same scene with both cams. Where the Hero5 would start to blow out the sky, the Hero6 still managed to show a blue sky. 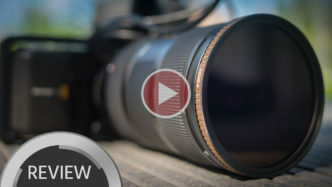 GoPro Hero6 Black Review – Pros and Cons: Pros: Image quality, out-of-the-box colors and dynamic range All the new 4K modes, plus the 2.7K 120p and 1080 240p modes The HEVC codec really holds up Cons: The fisheye look No medium and narrow settings any longer (GoPro please bring them back for the 2.7k 120p and 1080 240p slow-motion modes) Not all available modes use the new HEVC codec (e.g. the 4K 24p mode does not) Audio quality (a general issue with all action cams) All the Karma Grip issues. The stabilization it provides is fantastic, but all the glitches around it should be resolved! If GoPro would offer options like an external microphone (usable with the Karma Grip), or a rectilinear wide angle lens (or a selection of exchangable lenses?) they could significantly up their game into pro territory. As for now, yes, they made it to the top – but the competition is tough and will soon catch up. I hope you found this GoPro Hero6 Black review of some use. If you want to see more of my films, head over to my Vimeo channel. Having used the GoPro Hero 2, 3, 4 and – since a year – the Hero 5, I was quite excited to hear that the new GoPro Hero 6 was out. Fortunately for me, a unit arrived at cinema5D HQ for review. The first thing that I always do is have a look at the different resolutions and frame rates. Here is part I of my review of the GoPro Hero 6. 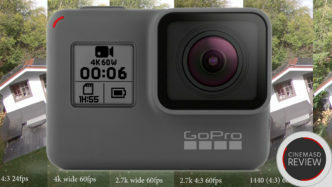 GoPro Hero 6 – Field of View When I first analysed the Hero 4 and 5 a while back, I found that the chosen FOV made a big difference in each of the cameras, i.e. the quality of the 2.7K mode on the Hero 5 was best at the “medium” setting, whereas the 1080p 120fps setting was best left at “narrow”, as other FOV settings resulted in footage that was either either murky or presented heavy aliasing. Additionally, a high resolution combined with high frame rates would kill the encoder, causing artefacts to show up due to the limited data rate. The first big surprise with the GoPro Hero 6: gone are the “medium” and “narrow” FOV settings! I was quite sceptical when I noticed this, as I wondered if the scaling in combination with the different resolution and frame-rate settings would work as it should. Also, I quite liked using the “medium” settings, as the fisheye look was less pronounced while still remaining wide enough at around 24mm full-frame equivalent. With the GoPro Hero 6 you are stuck with the fisheye look as there is only wide and superview FOV, plus the linear mode which for some reason doesn’t seem to look as good as the equivalent on the older Hero 5 – something I have to confirm at a later stage. 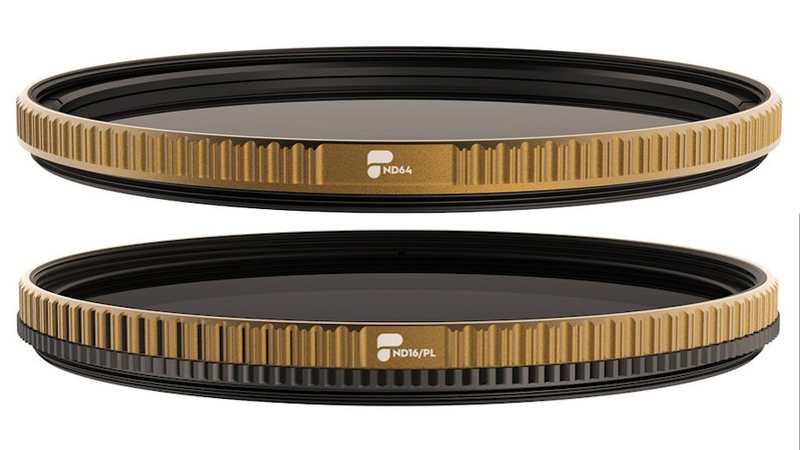 Conclusion #1: if you don’t want to comprise picture quality by using the “linear” FOV, my #1 item on the wishlist is a rectilinear wide angle lens! Resolutions and Frame Rates I put up the Hero 6 on a tripod and did static shots in the different settings. Then, I extracted 16:9 frames from each mode and compared them side by side. Note: depending on your monitor’s resolution settings, you might see artefacts that are not present in the Raw images at native resolutions – hence, you have to trust my findings ;-) Here are two shots at 4K (protune, flat colors and sharpness set to “low”, image stabilization not available in these modes). The first one is 60fps (wide) and the second one is a 16:9 extract from the 4K 4:3 24fps mode. This mode is very interesting as it uses the full 4:3 sensor of 4000×3000 pixels, of which the 4K is really a UHD window of 3840×2160. This gives you some freedom to later reframe to a 16:9 window of your choosing. 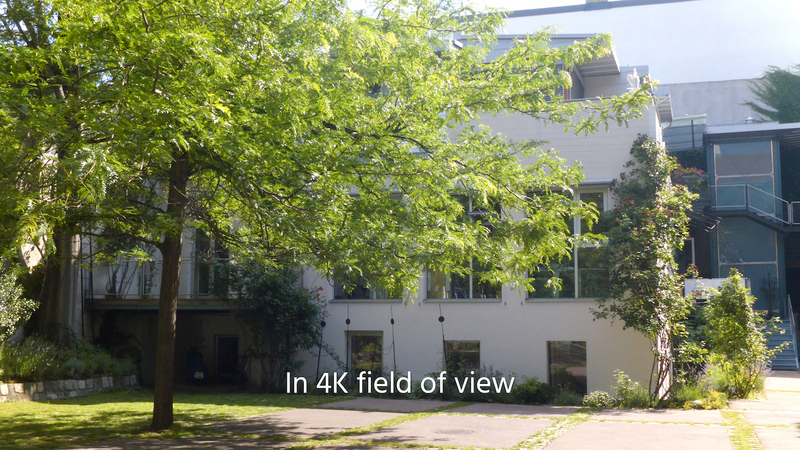 Logically, the 4:3 mode offers a field of view that is also a tad wider than in the 4K wide setting (4000/3840 = 4%). The 4:3 mode could also be interesting if a third-party 1.33x anamorphic lens replacement for the GoPro Hero 6 becomes available in the future. Conclusion #2: both the 4K 4:3 24fps (up to 30fps) as well as the 4K 60fps modes are super detailed, with the HEVC (h.265) codec doing a fantastic job to encode the image at 75Mbit/s. I tested the 4K 60fps mode on my bike at high speeds – as can be seen at the beginning of the video – and as you can see there is no break-up, and it really works great. An encoder has finally become available that is capable of encoding the full 12MP sensor of the Hero 6! 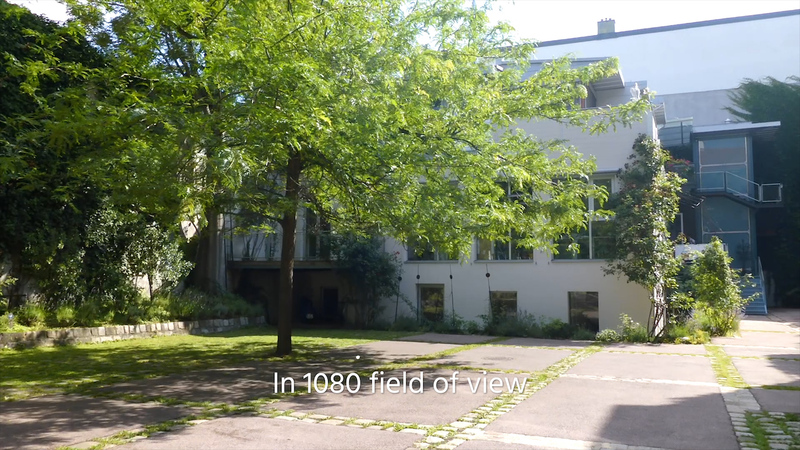 Figure 1: 4K wide 60fps – nice and detailed Figure 2: 4K 4:3 24fps center 16:9 extract – nice and detailed. 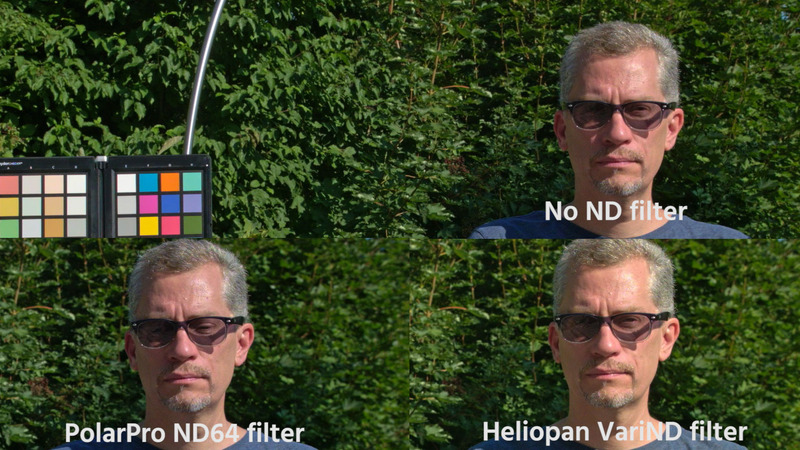 Note the 4% wider field of view Now, let’s compare all the other modes side by side (100%), without image stabilization to make sure we get the best image quality (protune, flat colors and sharpness set to “low”): Figure 3: a selection of modes side by side, 100%. Note the heavy aliasing on the 1080 240fps mode Figure 4: crop of fig. 3 – note how the details in the grass are gone with a resolution of 2.7k and lower Above you can see a selection of side-by-side comparisons of different modes at 100%, as well as a crop (you can download the full-resolution versions of these images HERE). It is worth noting how the image becomes mushy at all resolutions lower than 4K. If you look at the grass, or some details of the bush at the lower left hand side of the grey terrace, all details are gone in 2.7K mode and lower. The “linear” mode is not shown in the comparison above, as it is even less detailed. The superview mode looks like a wrong aspect ratio TV, and hence is not shown either. 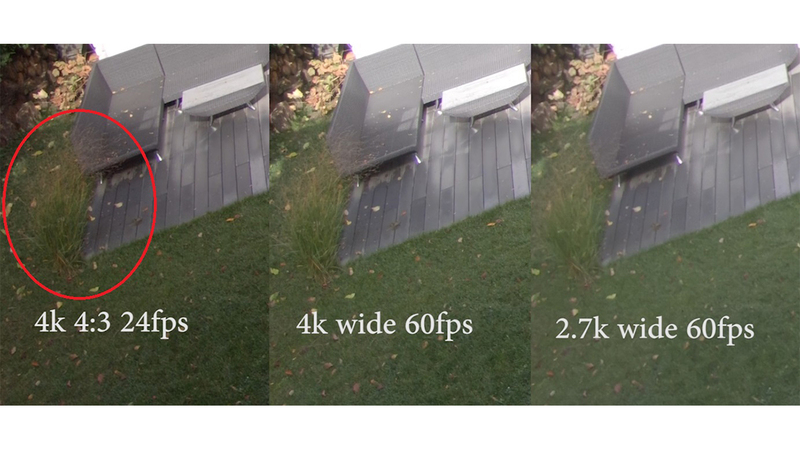 Figure 5: 1080 240fps mode cropped – heavy aliasing on hard, contrasty edges Nevertheless, at least no aliasing artefacts are present in any of the modes, with one exception: the 1080p 240fps mode shows heavy aliasing and stair-stepping on hard, contrasty edges. Also, not all modes use the HEVC encoder – when you select the mode on the GoPro, it is indicated if it uses the HEVC encoder or not. The modes that use the HEVC are: 4K 4:3 up to 30fps, 4K 60fps, 2.7K 4:3 up to 60fps, 2.7K 120fps and 1080 240fps. Conclusion #3: basically, any of the modes that don’t use the HEVC encoder are rather disappointing. Conclusion #4: as there are no “medium” and “narrow” settings available, it does not make any sense to use anything else than the 4K 60fps mode or, if a lower frame rate is needed, the 4K 4:3 24fps mode. Those two are super detailed, and the encoder holds up. Conclusion #5: 1080p 240fps mode is unfortunately barely usable… if you do not have any hard, contrasty edges in your scene you can get away with it, as foliage and landscape are not so taxing. 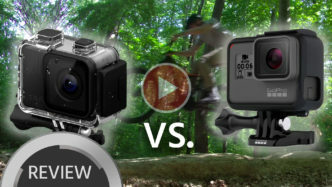 I must say, it looks like upscaled 720p, although GoPro marketing sells it as 1080. If 120fps is enough for you, then I would suggest the 2.7K 120fps mode – it looks clean and is quite detailed. I would have hoped for a 1080 240fps “narrow” mode. This would use only the centre portion of the sensor and would mean no scaling. I am quite sure it could be aliasing free and good (as the 1080 120fps “narrow” mode was with the Hero 5). 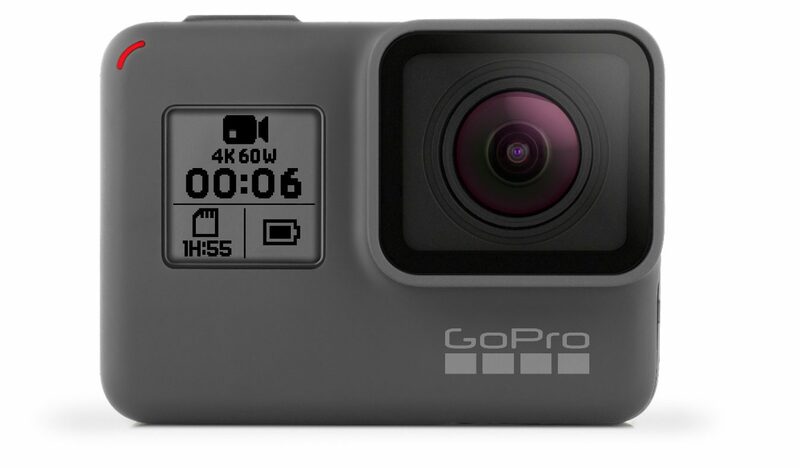 This gives you quite an interesting choice, where using the best quality modes with the GoPro Hero 6 has become quite simple: 4K at 60fps or 4:3 at 24fps (up to 30) for slow motion, use 2.7K 120fps if you do not have any hard, contrasty edges in your frame, then you can go to 1080 240fps mode. Of course, you are still stuck with the fisheye look in all of these modes, any lens correction you apply in post will result in a loss of image quality. All these modes do however use the HEVC encoder, which has a data rate of about 75Mb/s which works just fine. In my next post I will have a look at the dynamic range of the GoPro Hero 6 – which the manufacturer claims to have improved – as wel as the image stabilization. I will also go to Spain for 4 days of mountain biking to carry out my real-world test! What do you think of the GoPro Hero 6 so far? Let us know in the comments below!